Feeling on cloud nine after getting leads from your last event? Great! But don’t let your head get caught up in the clouds. The most important part about getting a lead is making sure it can become an opportunity. So, how can you increase the quality and quantity of leads? You’ll need to make sure you’ve done your research. We talked to Terryberry, a business that has grown 20% in size in the past year alone, on how using a marketing automation solution and a CRM helped them know their leads and grow their business. Here are three reasons to follow in their footsteps. The moment you know who your leads are, where they’re located, what industry they’re in, and what they’re interested in, you can make sure that leads passed from marketing to sales fit your ideal customer profile. Before Terryberry started using a marketing automation solution, their business was still growing, so like many small businesses that are strapped for resources, they used a homegrown lead capture and tracking tool with basic CRM integration. Their marketing department would create newsletters, white papers, and ebooks, and was running quickly to keep up with business demands. Marketing efforts were creating a high volume of leads, where prospects would fill out forms to access content. But Terryberry’s salespeople had to prioritize their leads themselves and manually track their prospect’s historic marketing interactions. As time went on, their team knew that they would eventually need to invest in a solution that would improve their marketing and sales alignment. After Terryberry invested in Pardot — a marketing automation solution where their salespeople could more easily visualize how their leads were progressing through prospect journeys, they could understand an entire path of a lead rather than an individual interaction. “Our salespeople didn’t have to rely on their memory anymore, it was all recorded in the tool,” Watkins said. Heard of lead grading? It allows you to literally “grade” your lead (A-F) so you can find out who’s the most qualified based on the characteristics of a lead’s profile, such as job title, industry or company size. When used with lead scoring — a numerical value that lets you know how interested your leads are in your product/service based on activity(s) they take on your site (for example, downloading a brochure, or signing up for a trial) — you’ll become an expert in finding the most qualified leads to become opportunities. When Terryberry was facing the many challenges of scaling a small business, it was tough for them to build a lead scoring and grading system in addition to their homegrown CRM. All marketing leads would go to their sales team, and their salespeople were responsible for sorting out which leads were worth pursuing. As their company matured and started using a marketing automation solution, Terryberry was able to prioritize leads with a sophisticated grading system. Terryberry now sends half as many leads—but the right leads to the team. “At first, half as many leads might seem scary, but the good news is that those are quality leads,” Watkins said. Are your salespeople spending time nurturing rather than selling? Terryberry’s sales team was in the same boat. Like many small sales teams who have to wear marketing hats as well, they also had to manually nurture leads, even when they weren’t sure it would turn into an opportunity. “The hard part was that the sales person didn’t know which lead to chase,” Scott VanderLeek, National Sales Manager said. 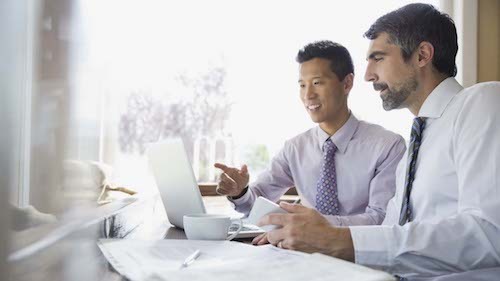 With a systematic process within their marketing automation solution, and continuous nurturing with Salesforce, Terryberry’s marketing team is able to nurture in a standardized way to help their sales counterpart. Now, they are able to nurture more leads and track each lead’s status. Don’t play a guessing game with your leads or by make “gut-feeling” decisions. With the right data, you’ll be able to align sales and marketing and understand the ins and outs of your leads in no time. Learn more about how you can prioritize leads to help your small business grow. 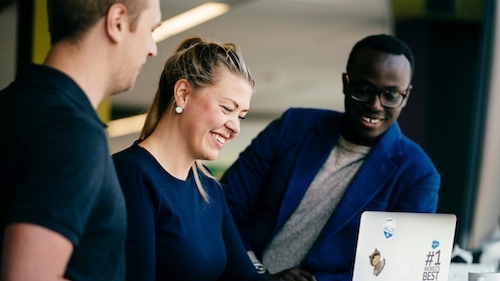 Salesforce can help you find customers, win their business, and keep them happy so you can grow your business faster than ever. 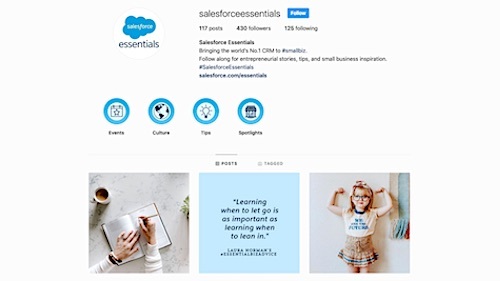 Learn more about our small business CRM solutions or follow us on Twitter @SalesforceSMB and join the conversation with #SalesforceEssentials.